Now in its eighth year, the game is the definitive gathering of baseball’s elite. It is the launching ground for athletes to be noticed, highlighted by a formal workout for Major League Baseball (MLB) scouts and a home run derby, all while under the tutelage of some of the game’s best players and coaches. Today we highlight one of the players who will participate in the All-America Game, right-handed pitcher, Riley Pint. 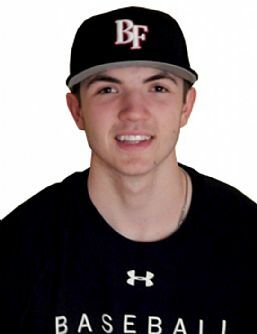 The junior from Lenexa, Kansas pitched well for St. Thomas Aquinas High School in 2014 as a sophomore, helping to lead his team to the 5A State Championship, going 8-0 with a 2.58 ERA and 59 Ks in just 57 innings. This season, he led the Saints back to the 5A regionals, going 5-2 with a 2.20 ERA with 47 strikeouts in 35 innings and named a Gatorade Player of the Year for the state of Kansas in 2014-15. Pint is also quite charitable with his time, according to USA Today, he has volunteered on behalf of the Kansas City Rescue Mission, aimed to be a peer mentor and helped to establish a non-profit organization with his sister called “Our Birthday Club” where they donate gifts to charity as a substitute for their own birthday gifts. He has verbally committed to LSU and will join a talented pitching staff in Baton Rouge after his senior season of high school in 2016. Pint recently shared his insights in a conversation with Baseball Factory as he prepares to showcase his talents in the Windy City. Baseball Factory: Describe what the thrill is like to be able to play at Wrigley Field on Aug 15 in the All-America Game? Riley Pint: Unbelievable. Its a great opportunity to face some of the best talent in the nation and play in the atmosphere at Wrigley Field will be something I am really looking forward to. BF: How excited are you about going to LSU to pitch for the Tigers? RP: I am really excited. Ever since I was a kid, I’ve always wanted to go there. It will be a dream to pitch in front of 13,000 people every night. It’s a great opportunity and I’m ready for it. BF: What’s your friendship like with Alex Lange (LSU’s talented freshman pitcher)? RP: We text pretty regularly, asking each other how the season is going. When I was in the recruiting process, he texted me to come down and visit and I finally did. He’s such a good guy and a good pitcher and it will be fun to be his teammate. RP: Right now, a guy I really look at and study is New York Mets starter, Jacob DeGrom. He has a really good fastball, clean arm action and a good windup. BF: What’s your favorite pitch to throw and why? RP: I like throwing my four-seam fastball and trying to blow it by someone. RP: It was probably the best experience of my life. Playing the last nine years or so, we were always out there to win. I learned so many things from Kevin Seitzer and Mike MacFarland (former Kansas City Royals players) and I have to give credit to that organization for giving us everything we needed with the facilities. They always put us in a great position to win tournaments. BF: What’s the best piece of advice you’ve received? RP: Go out there and have fun and don’t take anything too seriously. That’s what my parents always tell me. BF: Major league hitter you would most want to strikeout right now and why? RP: Washington Nationals outfielder Bryce Harper – he’s one of my favorite players, it would just be crazy to strike him out. BF: What are your goals once you get to LSU and begin playing for them? RP: The top goal is to get in the starting rotation once I get there, but, the ultimate goal is when I leave to have a National Championship under my belt. BF: LSU has had a great lineage of pitchers come through their system recently: Kevin Gausman, Aaron Nola. And now Lange. Do you feel you fit into that conversation as the next big thing? RP: I hope I can be just as good as all of them. With Nola and Gausman, right when they left college, they went to the majors quick. If I try to model my game after that, they had pretty successful careers at LSU, maybe I can have just as good a career if not better than them. BF: What is your relationship like with LSU pitching coach Alan Dunn? RP: We have a really good relationship. Whenever I feel something isn’t going right, I’ll text him and he’ll give me words of encouragement and he’ll calm me down and tell me its just a game. It’s nothing too big to get upset about, he’s always there for me. This summer he’s been a really big help for me. BF: What advice would you give to young pitchers as they start to learn how to pitch? RP: I’d say, stick to your fastball and changeup. There’s really no reason to snap off a curveball until high school or later as you continue to develop. I throw a knucklecurve and don’t really mess too much with a curve. Also, play multiple sports if you can to get your mind off of baseball for a little while. Just have fun.